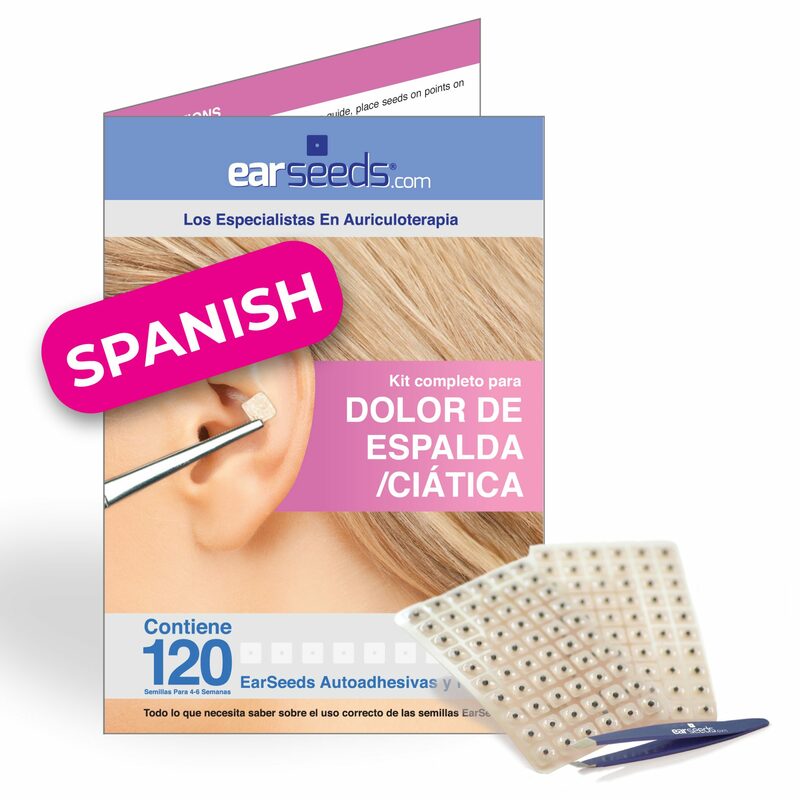 Our Popular Kits, Now in Spanish! Contains ear chart showing auriculotherapy points that are believed to correspond to back pain and sciatica related regions of the body. Kit includes ear seeds, back pain and sciatica point chart, and tweezers. 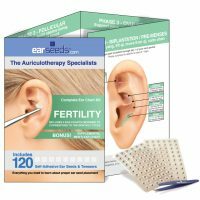 Want to upgrade the appearance of your earseeds? Use these attractive pellets on the pressure points indicated in the kit for a more fashionable look with the same function. Clearly illustrated graphic image detailing points believed to correspond to back pain and sciatica. 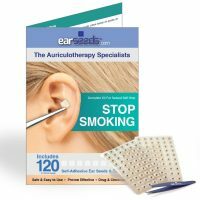 Recent scientific studies have shown that ear treatment is a powerful effective way to help alleviate back pain! A 2012 study concluded that “Auricular acupuncture was safe and demonstrated additional benefits when combined with exercise for people with chronic low back pain” -Clin J Pain. 2012 Mar-Apr;28(3):259-67.